The average points for Gameweek 12 was 48. Callum Wilson continued the most transferred in player curse after he scored just two points. A home fixture against Fulham unsurprisingly resulted in Mohamed Salah being the most captained. He provided a satisfactory 8 points following a goal and clean sheet. What was surprising though, was Juan Foyth scoring the most points of the gameweek with 15. Only his second start of the season resulted in a goal, clean sheet and a subsequent three bonus points. 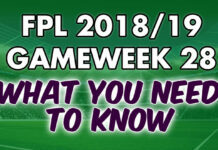 Fantasy Premier League Gameweek 12 overview! Here is our Fantasy Premier League Gameweek 13 cheat sheet. 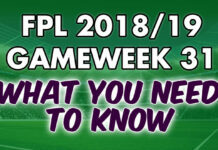 The Fantasy Premier League Gameweek 13 captaincy seems to be a two way decision between Mohamed Salah and Sergio Aguero. Both face away fixture of similar difficulty, Watford and West Ham respectively. The bookmakers indicate that Aguero is the more likely goalscorer but Salah did score 5 goals against Watford last season. As captaincy decisions go it is a coin flip but if you’re siding with the statistics then Aguero probably edges it. Elsewhere, Anthony Martial (if fit) and Richarlison offer good differential captain options. With Kane and Hazard facing off and therefore damaging their captaincy chances, the Fantasy Premier League Gameweek 13 captaincy is an interesting debate. 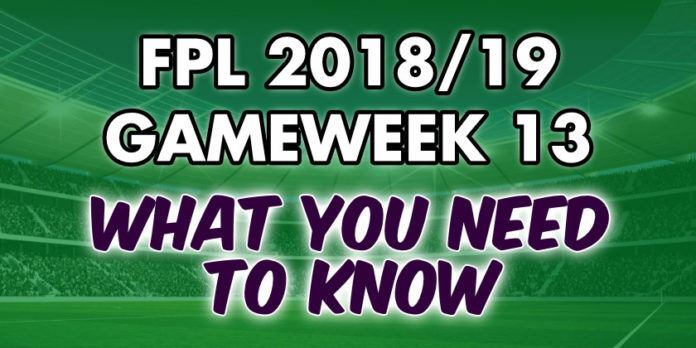 Our two differential captain choices are among the transfer in for GW13. Andrew Robertson’s attacking threat doesn’t seem to be waning. As a result he is another player to get in if possible, despite Liverpool playing four of their next six games away. Brighton have good fixtures in the short-term and have proven defensively strong. Therefore, Lewis Dunk and Shane Duffy are the primary Brighton candidates.